I think that Instagram has a lot of flaws on the whole, but I can’t deny I love browsing it. I mean, where else can you scroll through such a massive stream of adventure and vehicle photography? 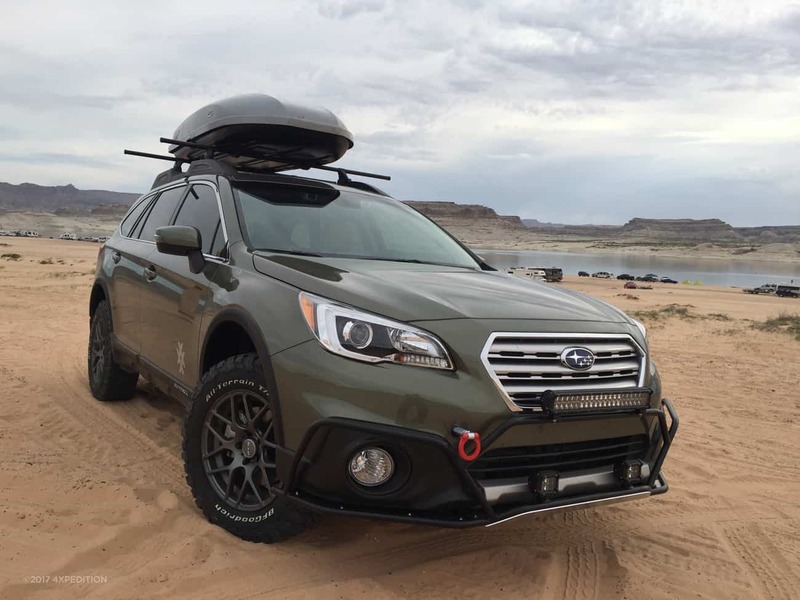 It was on one of my recent late night browsing sessions that I stumbled across the brilliant Subaru Outback you see here. Since I had been eyeing the Outbacks for some time, I decided to do a little research and messaged the owner, Scott Leuthold. Scott’s the founder of 4XPEDITION.com, and as it turns out a pretty big Jeep guy. 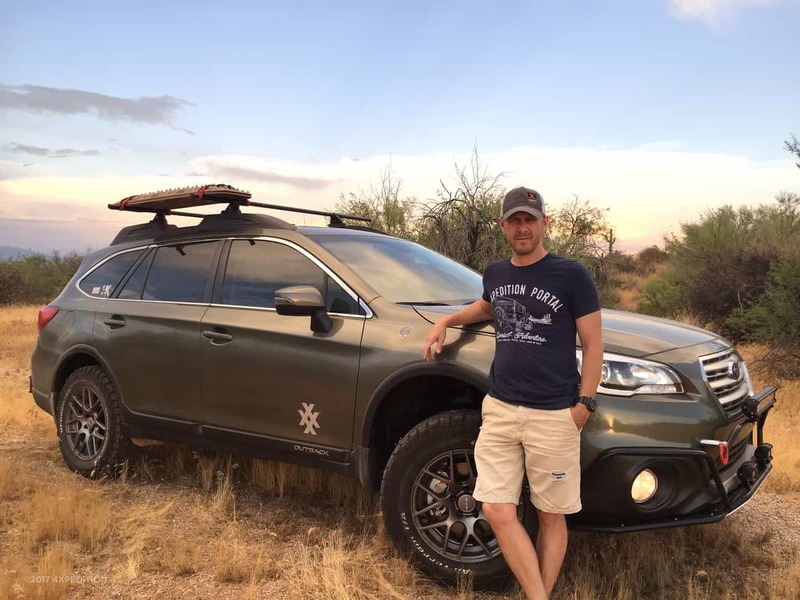 He has owned his fair share of JKs, tows off-road trailers, and loves to hit a tough trail when he can, so I was interested to find out what made him fall for the Outback, and just how capable it could be on the trail. His answers were as thorough as his build, and so with his permission, we set up this little interview to share his story. So I know you’ve owned several four-wheel drives, and that you use them on a regular basis. 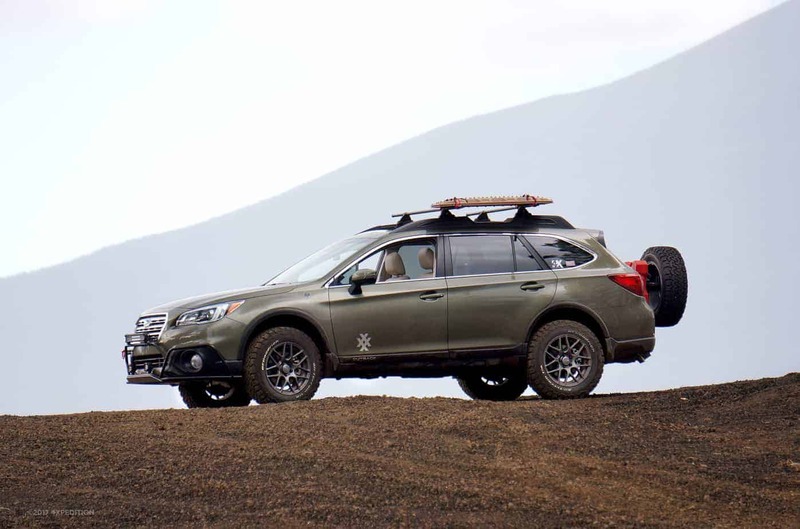 Can you tell me about them, and what drew you to the Subaru Outback as an overland platform? I’ve always held the philosophy that there is a right tool for the job, and when you have the right tool, it makes the job go that much more smoothly. I have been a Jeep JK owner since 2007, which is right around when I created 4XPEDITION. 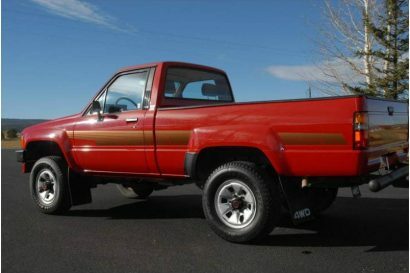 I was one of the first in Arizona to own one, and definitely one of the first to lift one. I upgraded to a new JK when they redesigned the engine in 2012, and bought another new Rubicon in 2015. I can’t deny that the JK has been quite the Leatherman tool for me over the years. I used the 2012 model on a 13,000-mile, 9-month overland trip around the United States and Canada the first year that I bought it, and while I can safely say that the JK has many great qualities, it is most certainly NOT the right tool for every job. 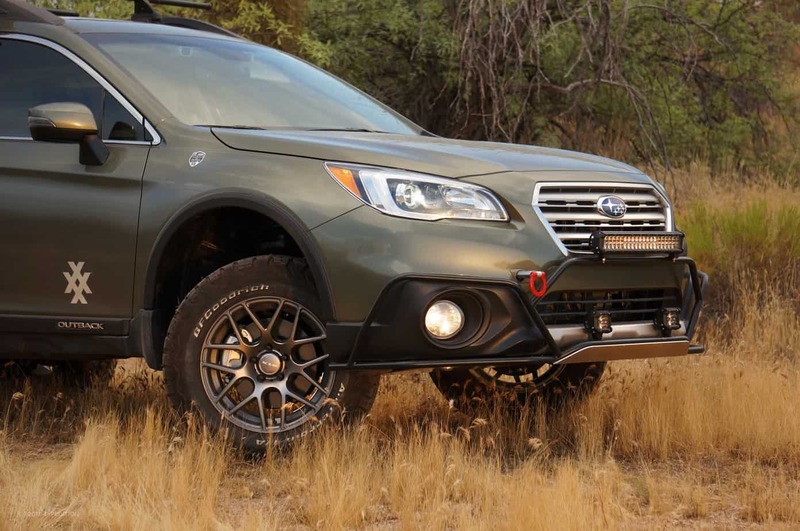 I quickly learned that I loathe driving a lifted Jeep on pavement for any extended range, and that’s where the Subaru comes perfectly into play. 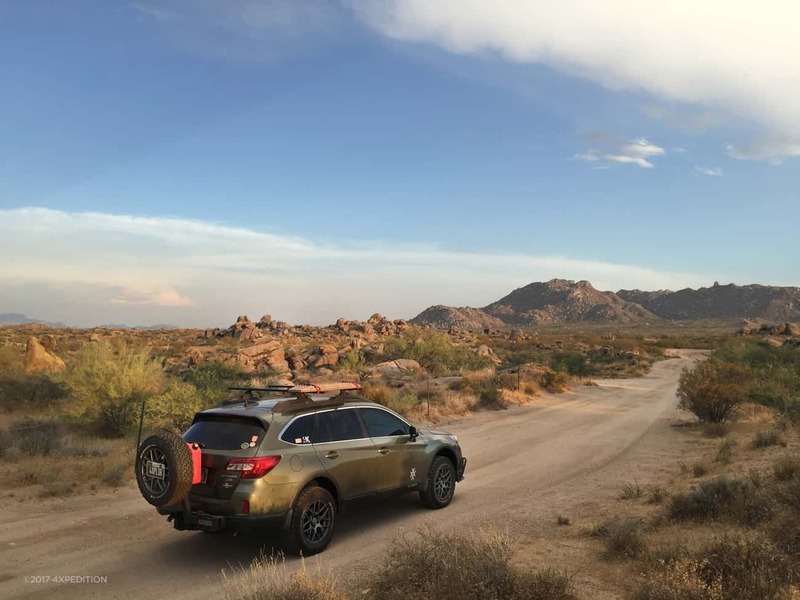 Of course, the off-road capabilities of an Outback do not remotely match that of a JK, but a JK doesn’t even remotely match the prowess of an Outback when it comes to what most overland trips include a great deal of…long, long stretches of graded or paved roads. 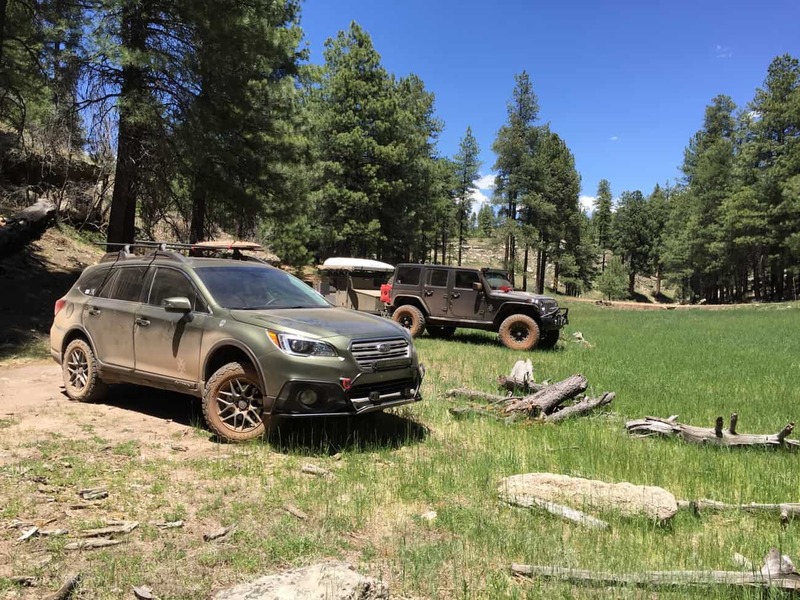 So, to experiment, I proposed to the 4X team that we sell off one of the Rubicons and one of the expedition trailers and in exchange build up both a 3.6R Outback as a “Road Warrior” and a 4×4 Sprinter camper van as a backcountry tiny home on wheels. In doing so, I concluded that with a couple motorcycles, we would have a tool for every job. So we sold off one of the 2015 Rubicon and a Horizon Adventure Trailer on Expedition Portal, and proceeded with building the Outback with a roof top tent. First, as I mentioned earlier, I loathed driving a Jeep for any kind of commute or distance travel. Trust me, if you ever have to use one as a daily driver with any real distance it gets old really quick. For instance, we are booked for the Rubicon Trail in August, but nobody is excited about the drive to get there with a JK. 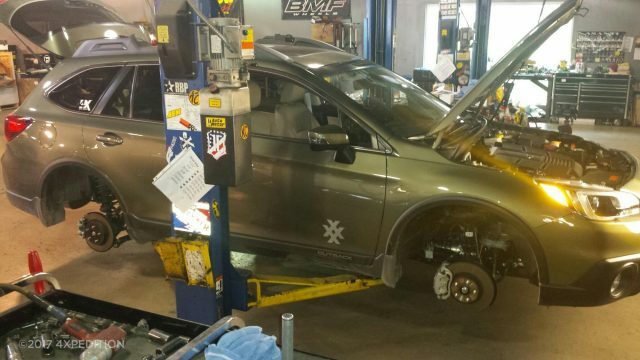 I wanted a vehicle that had off-road capabilities but could also hold its own in the city with significant comfort and convenience. 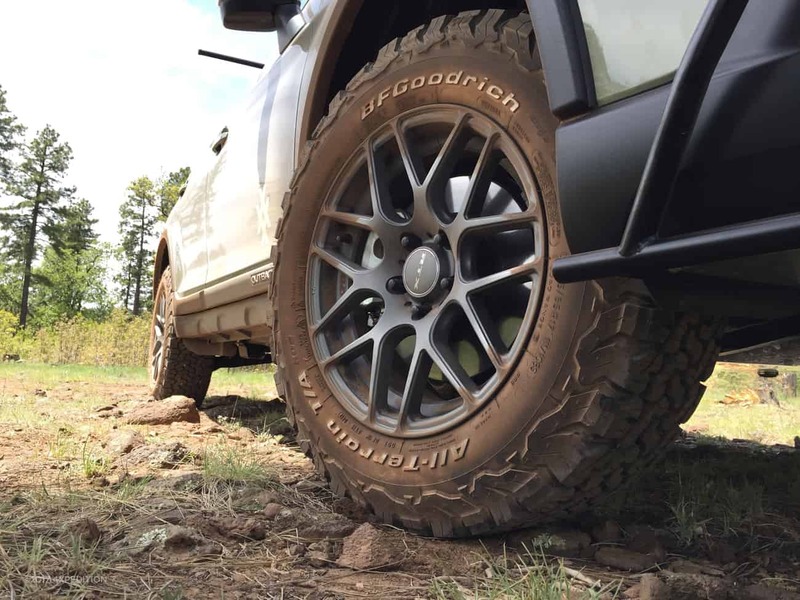 The 3.6R offers plenty of get up and go, even with the lift, all-terrain tires, and added weight of the accessories. 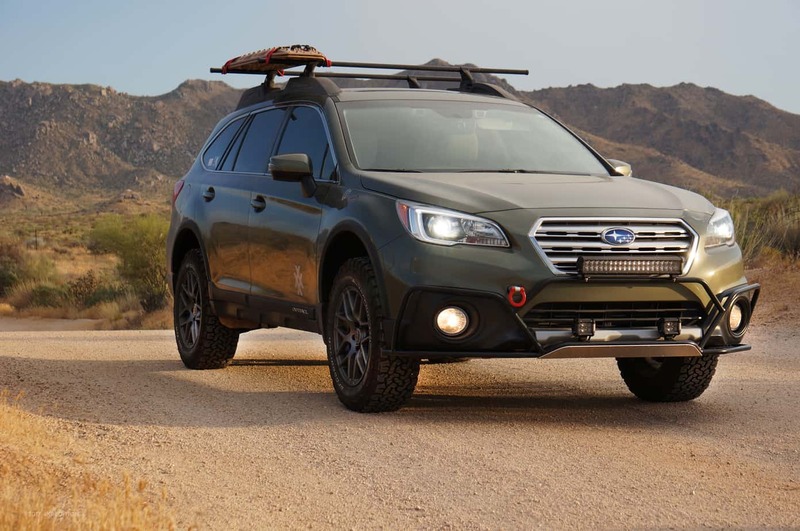 The Outback offers a state of the art convenience package and a utilitarian interior that offers some luxury appointments. I felt the Outback would also be satisfactory when picking a client up from the airport or for a night out on the town. 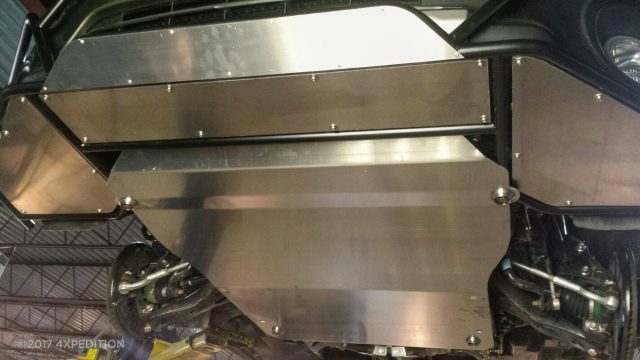 Second, the clearance of a stock Outback sits at a reasonable 8.7 inches, and with the 2-inch lift we added we are now towering at around 11 inches. This is more than adequate for the majority of trail use we selected this vehicle for. With decent suspension, satisfactory hill climb, and descent performance without low range, that was acceptable to us. 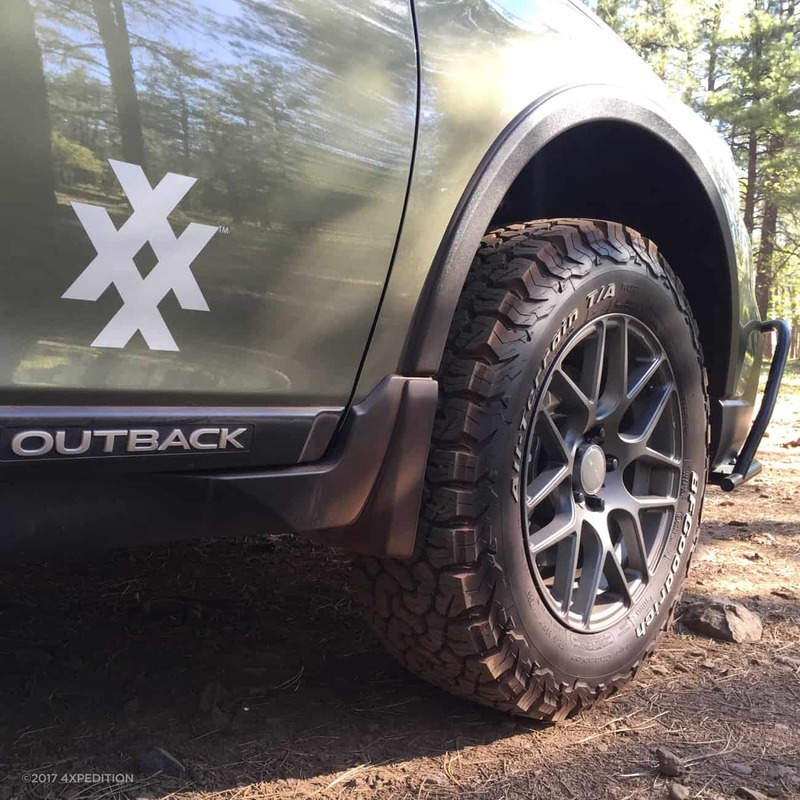 The entry and departure angles aren’t that stellar, but with a bit of negotiating in deeper ravines and the aid of the XMode and MaxTrax we haven’t really seen much of a problem. We added a tow hook on the front so in the event we encounter problems we can ask a fellow overlander for help. Third, the rear cargo area boasts an amazing 73.3 cubic feet of cargo volume with the seats folded down. This is a significant amount of storage space and offers plenty of flat room inside to sleep if necessary. In fact, solo trips allow for a refrigerator, storage bins and a sleeping area. We have an iKamper Skycamp on order that should arrive soon which will sit on top of the Outback to complete the build. Adding a rooftop tent will add quite a bit more room inside for other gear like an inflatable stand-up paddle board. 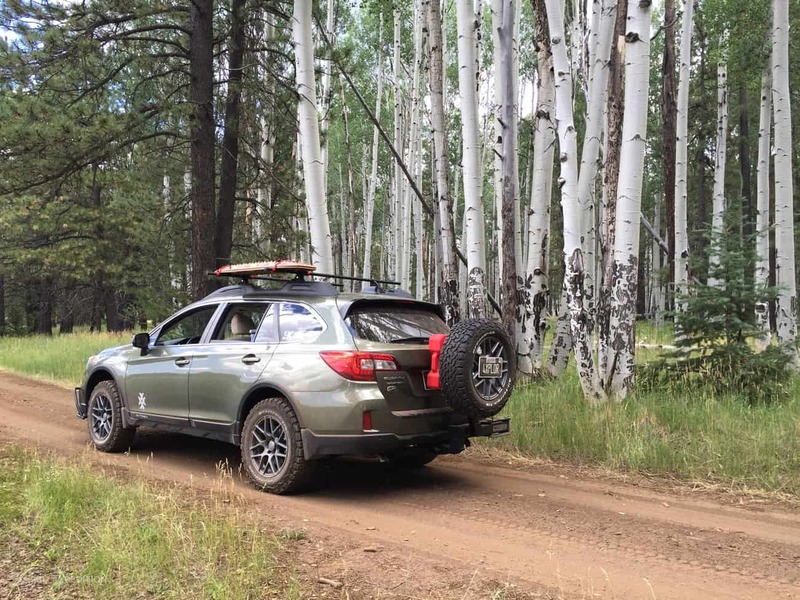 Fourth, the gas mileage of the Outback far surpasses that of a lifted Jeep. I think that goes without saying. The 3.6R with lift, all-terrains, front and rear accessories, and roof rack still averages 21 MPG. Not a bad number when you are talking an all-purpose vehicle. I imagine that will come down some with the RTT on top. Fifth, we wanted an overland road warrior vehicle that could stand the test of time and punishment. Customer satisfaction of Subarus is one of the highest in the industry, with many owners easily putting 200,000 miles on their vehicles. 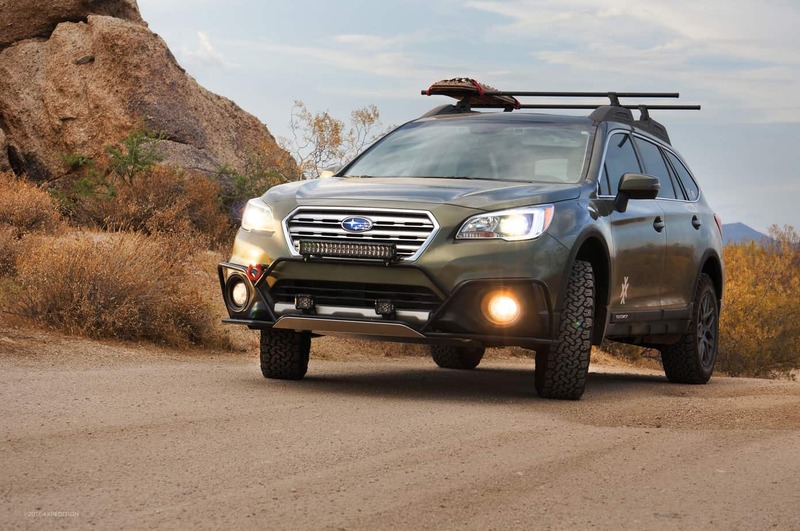 Subaru drivers hold on tight to their cars and only when they drop dead can you pry an Outback out of their hands. That’s pretty impressive, and it seems like you’ve done quite a bit to improve the vehicle’s capability and tailor it to your needs. Can you tell me what changes you’ve made thus far? 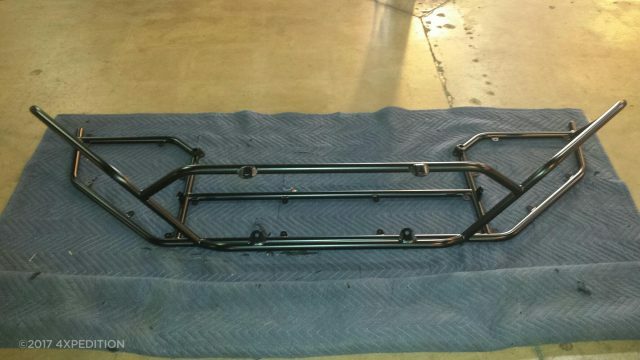 – Rear springs (to bring the rear back up a bit after adding the Hitchgate and spare). Obviously this is an entirely different animal, but compared to your Jeeps, what do you like about it? What could be better? As mentioned earlier, I like the comfort and easy drive of the Outback. 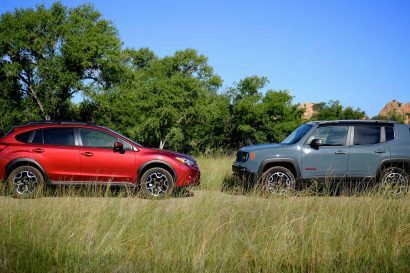 I also like the acceleration and handling compared to the Jeep. 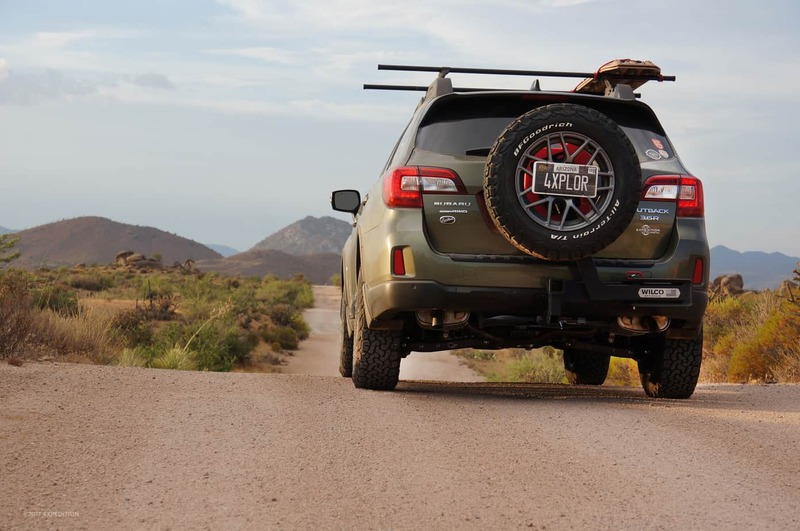 If I want to take a run up to Zion to backpack the Narrows I don’t have to take the Jeep, but if I decide to camp off-grid the night before my backpack excursion, I have a vehicle that can get me in and out in most cases. If I am taking a run up to Durango and expect to do some backcountry jeep trails, that’s when I’ll take a Jeep. 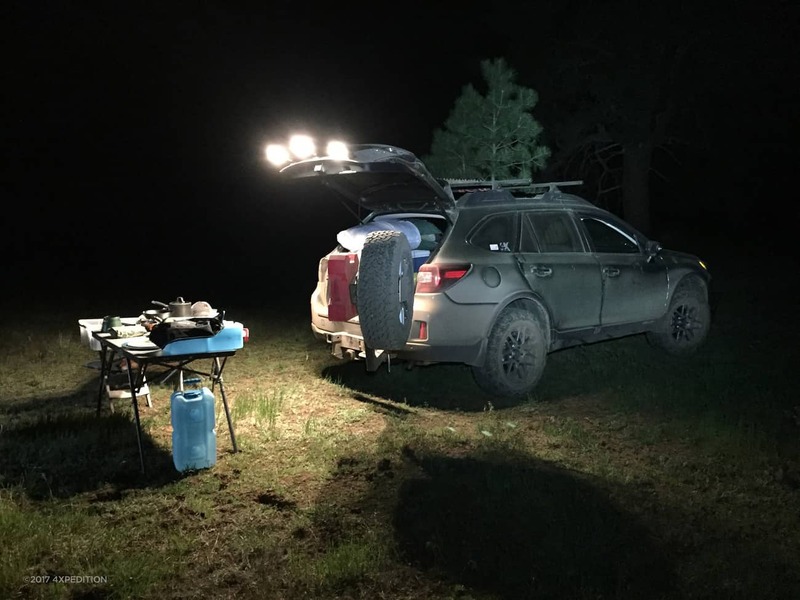 When it comes to what we built the Subaru to be used for, it performs pretty well. I would say we aren’t as pleased with the traction control as we’d hoped, and it occasionally lacks the power to the wheels that it needs in tougher situations. 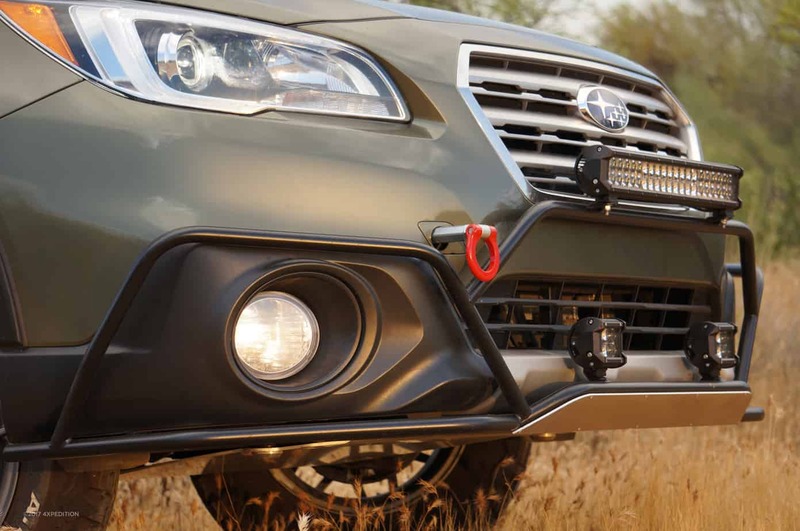 The active all-wheel drive and XMode feature do provide the Subaru with improved traction and handling when driving on low-friction surfaces though. 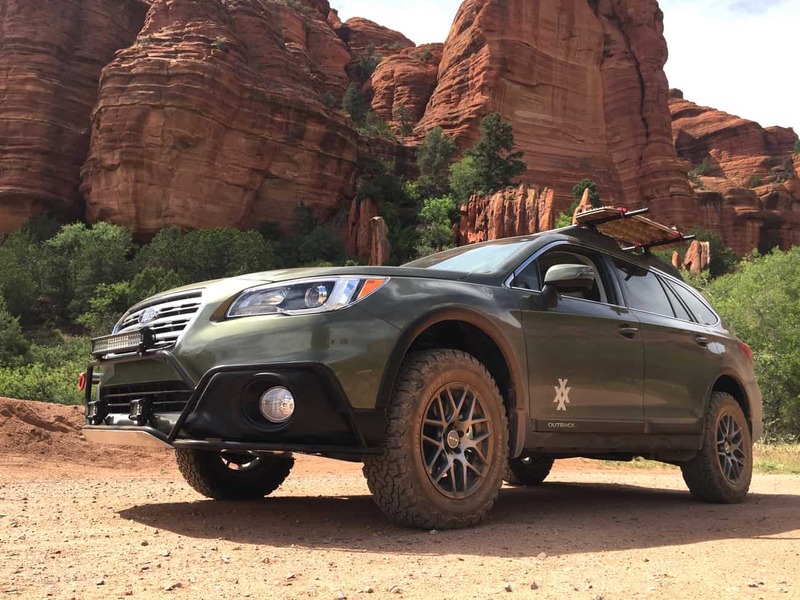 If you aren’t aware of the feature on Subarus, X-Mode helps reduce potential wheel slip on slippery surfaces, climbing steep inclines, and navigating rough roads. X-Mode operates under three principles: To increase the potential of the electronically controlled Limited Slip Differential (LSD) that lies at the heart of the Vehicle Dynamics Control System to deliver performance rivaling that of the mechanical LSD; to apply the SI-Drive technology to the engine, transmission, and other components for optimum control on slippery roads; to give drivers peace of mind by assuring them that added driving assistance is just the flick of a switch away. Okay, so let’s talk about the fun stuff. What’s your favorite trip for this vehicle so far, and where do you want to take it in the future? 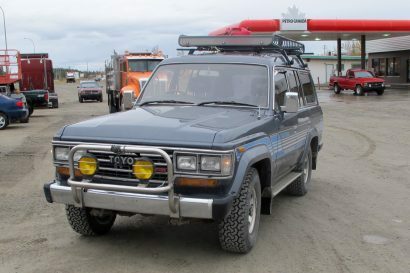 4XPEDITION is about getting into the backcountry and taking journeys with whatever mode of transportation is required. Vehicle, moto, paddle, flight, or on foot. We have taken the Subaru on about five trips so far, all of which were in Arizona. They included The End of The World, Lake Powell paddling adventure, and a camp on top of Mount Graham. This summer I’m planning to use it for a trip up the Pacific Coast Highway into Big Sur with the new roof top tent and my inflatable paddle board. I’ve recently taken up Paddle Board Expeditions, so I presume I will be using the Outback as a base camp for that. This fall I’m planning a trip to Moab to paddle the Green River with the SUP. I have about 8 SUP expeditions on my list including rivers as far away as Bow River in British Columbia, Klamath River Oregon and California, Snake River Idaho and others. 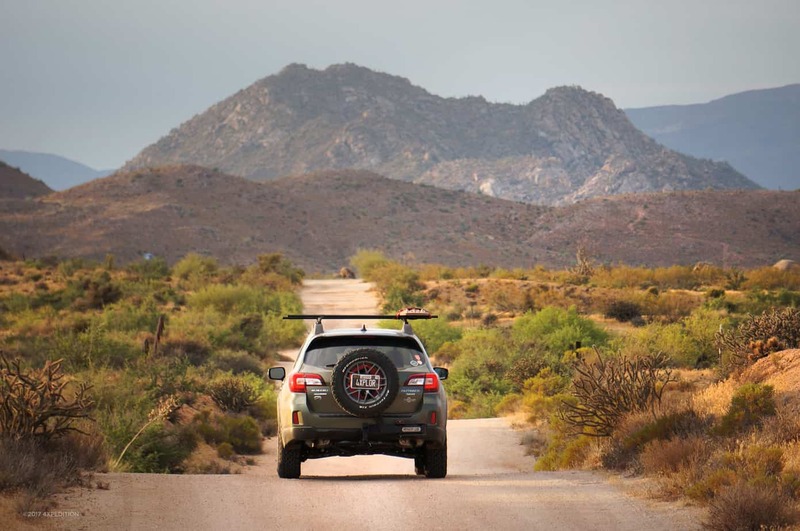 Some of those I may fly my SUP to the destination, but others I will likely road trip with the Outback hauling my gear and living out of it as I go. Sounds like you’re going to pack in some excellent adventures this year! Where can we follow these trips and see more details on your travels? Now that’s an easy one. Follow us at @4XPEDITION on Instagram, @4xpedition on YouTube, or visit us online at 4xpedition.com.